Self photo of Chelsea Manning, sent to her Army Supervisor. Human beings are called to feel, to reason things out, and to practice compassion. Because without those higher inclinations, our own weakness, desire, fear, and the ways of the mob, trample all human potential. The shadow side of human nature is strongest when we make war. As I’ve said many times, to go to war for even the best reasons, is to eat finger food with Satan. That is, any war releases all that is worst in ourselves and sets it to work in the world. To make war for anything short of the most compelling reasons, is to commit spiritual suicide. I graduated from college in 1972, at the height of the Viet Nam War. I had a low draft number. The Army made it clear to me, if I didn’t want to wind up in combat, I had better find an alternative fast. So I went down and enlisted in the United States Coast Guard. After basic training they sent me to the Naval Base at Newport, Rhode Island, for quartermaster training. As a Coast Guardsman that meant taking two Navy service schools: quartermaster school and also Navy signalman school. Signalmen handle sensitive communications, which meant they also gave me a security clearance. On the one hand our government is full of petty bureaucrats. A lot of them have stamps that say, “secret” and “top secret.” When in doubt they stamp everything in sight. Even today, 1.8 million new documents and communications get stamped and classified each week. On another level this is still deadly serious business. Much of the most effective “spying” is done not by men in trench coats in dark alleys. It’s done by information analysts in brightly-lit offices. Intelligence breakthroughs often come from matching up odd bits of information which at first glance, don’t seem special or even useful. You cannot know what connections someone will make. So the less information that gets out, even if it does seem useless, the better. For that reason military secrecy is about what’s called, “the need to know.” Any information might be important. Unless someone needs to know something–they don’t get told. Signalmen “needed to know” what Soviet ships looked like because we might have occasion to identify one in the performance of our duties. Most other ratings didn’t “need to know.” So even though a photo might be public information elsewhere, it was stamped “secret” at the Newport Naval Base. The free flow of information is essential to a democratic society. Military need, or at least perceived need, can sometimes seem completely opposed to that ideal. I don’t know how you reconcile that tension. But loose lips really do sink ships. During training I whiled away my off-duty hours at the base library. That’s where I first began to hone my interest in history, particularly naval history. I started by reading about America’s submarine service during the Second World War. During that war, submarines played a crucial role in the Pacific Theatre. Luckily for us, the Japanese Navy underestimated the diving capacity of American submarines. Their experts believed American submarines could only go down about a hundred feet before water pressure would begin to crush their hulls. Therefore the Japanese Navy set their anti-submarine weapons, called depth charges, to explode at that hundred foot mark. Enter Democratic Congressman Andrew J. May, of Kentucky, who made a junket to our Pacific bases in early 1943. May was a powerful man, chair of the House Military Affairs Committee, so the Navy gave him the full V.I.P. treatment. Among the things he learned in his tour, was this crucial mistake in Japanese anti-submarine tactics. He returned to the United States and in June, 1943, told reporters, “Don’t worry about our submarines, boys, the Japanese are setting their depth charges too shallow.” Several newspapers printed his remark. Vice Admiral Charles Lockwood, commander of American Submarines in the Pacific, later wrote scathingly that Congressman May “would be pleased to know,” the Japanese quickly began setting their depth charges much deeper. By the end of the war, Lockwood estimated, this “slip of the lip” cost the United States ten submarines and resulted in the deaths of 800 men. Congressman May shrugged off the criticism and got re-elected. Then in 1947 he was arrested. Not for revealing classified information, though, but for accepting bribes. Corrupt munitions makers paid him to use his Military Affairs chairmanship to get them government contracts. The defective equipment he helped sell, resulted in the documented deaths of another 38 American servicemen. May was convicted and sentenced to federal prison. But he was an important Democratic fundraiser, influential on the national scene. So in 1952 he received a Presidential pardon from outgoing President Harry S. Truman. After only nine months he was once more a free man. His political career was ruined, so he went back to Kentucky and made a lot of money as a lawyer. When I studied for ministry, one piece of assigned reading was psychologist (and rabbi) Edwin Friedman’s book, Generation to Generation. He applies what’s called “family systems psychology” to churches. Some of the same dynamics also apply to larger social structures. That provides religious context for both Andrew J. May–and Chelsea Manning. Friedman explains how negative actions by an individual can be symptoms of a larger problem. A child might act out because of one parent’s alcoholism or both parents divorcing, for example. But perhaps the alcoholic parent is drinking in response to some other, outside stress, a dysfunctional work situation, or perhaps because the parent himself was abused as a child. One person’s behavior reflects problems in the larger group: family, church, or I suggest, even a whole society. We might call Andrew J. May an “identified patient” on a huge scale. His stupidity or corruption are not all that remarkable among politicians, then or now. Our political system attracts, and rewards, self-aggrandizing and ethically careless people. In normal times May’s stupid remark about depth charges would be the kind of political gaffe you hear every week. Then when he was put on trial for bribery, he responded that he had done nothing wrong except for careless bookkeeping. Which is, again, an excuse you still hear every few months from some politician caught with their fingers in the cookie jar. In May’s case, though, we were at war. The damage he did was a symptom of bigger problems, particularly because the system was under the added stress of World War II. As a powerful, influential man, May’s all-too-common thoughtlessness and casual greed meant life or death to little people over whom he had influence. But as a powerful man, he got off very easy. That’s the way the military worked then and it’s the way it still works. Fast forward another generation. A U.S. Navy enlisted man, Brian Manning, returned to the United States from Pembrokeshire, Wales. He brought along his new bride, a young Welsh woman named Susan Fox. In 1976 Susan gave birth to a daughter they named Casey. Eleven years later she bore a second child, a son, whom they named Bradley. Brian and Susan Manning were both alcoholics. Both drank heavily throughout Susan’s pregnancies. Bradley Manning was later diagnosed with fetal alcohol syndrome, symptoms of which include small size, attention deficit, impulsive behavior, and poor cause-effect reasoning. During Bradley Manning’s childhood his mother became so non-functional from alcohol abuse, the boy was cared for by his sister. Who was, herself, only in middle school. He lived on little more than milk and baby food for years. The two children often witnessed their mother’s alcoholic seizures and even suicide attempts. Bradley Manning was, however, very bright. He got good grades in elementary school, excelled at science and computers, and created his first website at age ten. He won the top prize in a statewide science quiz three years in a row. But he was also defiantly stubborn and had a hard time getting along with other children. At age 13 he began to question his sexual identity. Meanwhile his parents divorced and his mother took him back to Wales. Small, awkward, and a foreigner, he came in for heavy bullying at school. At age 17, because of difficulties in school and also his mother’s ever-worsening alcohol problem, he returned to the United States. In a lengthy Washington Post feature much later, journalist Ellen Nakashima described Manning’s first full-time job at a software firm. The owner told her Manning was intelligent, idealistic–and troubled. Sometimes “he” would just “sit and stare” as though in a trance. For all his brilliance, he could be erratic and even belligerent. After four months the owner said he was sorry, but he had a business to run. He fired the young man, telling him to take time to get a grip on his problems. Manning knocked about the country for three years, sometimes excelling, often running into problems, moving again and again. Then in 2007, at the urging of his father and hoping to earn educational benefits for college, Bradley Manning joined the Army. A lot has been published about Manning since his arrest in 2010 for violations of the 1917 espionage act. But the details I mention, should provide an idea of how inappropriate this troubled, vulnerable, gender-questionable young person was for Army service in the first place. Military service might “straighten out” a young man with minor problems. That’s probably what Manning’s father hoped for. But Manning’s array of emotional problems–he wasn’t even positive he was a man–in a brutally unreflective, unsympathetic culture, was a disaster waiting to happen. Once Bradley Manning completed the standard battery of tests taken by newly inducted recruits, he should have been quietly discharged. In a different time, the Second World War or the time period I served, I can tell you he would have been discharged. I watched sailors get general discharges, who were less troubled than Private Manning. But in 2007 we were in the depths the the Iraq and Afghanistan Wars. Our so-called “volunteer Army” was being used in a manner for which it was never designed. It was stretched to the breaking point, recruitment was down, and recruiters were desperate to corral men. And one thing you had to hand to Bradley Manning, he was brilliant when it came to computers. Like Congressman Andrew J. May, Bradley Manning was also an “identified patient,” a symptom of a system wracked by larger problems. The difference, of course, was that Andrew J. May was a powerful politicians. Bradley Manning was a misfit: a nobody with a tragic combination of brilliance, stubbornness, idealism, and inner torment. From his parents’ alcoholism to the dysfunction of our ill-conceived military adventure, he was placed by fate, desperation, and faulty process into a situation where he was sure to bring harm to himself and others. His service record was full of emotional flare-ups. His superiors worried that he was a risk to himself and others. But they were desperate for computer experts, so emotional outbursts or no, Manning got sent to Forward Operating Base Hammer, outside Baghdad. He continued to have irrational episodes. He was disciplined more than once. But he was still kept on duty at a communications crossroads, barely supervised, monitoring classified information from around the world. Manning’s slide to a massive security breach was as inevitable as two-plus-two equals four. He was an unstable idealist in a brutal environment. Security was lax. He worked alone. All he had to do was download communications onto a CD, write “Lady Gaga Music” on it as camouflage, and take the CD with him on leave to Germany. The hundreds of thousands of messages he leaked, represent less than a day’s worth of dispatches in the big picture. Again, we classify nearly 2,000,000 new items a week. Many public figures have called Bradley–now Chelsea–Manning a traitor who deserves death. A few voices on the left called him a hero. I suggest that both views miss the point of her tragedy. As I noted at the beginning, no one knows what item might be useful to an enemy. But in the end, even prosecutors at Manning’s trial could not show how any of the data he released did anything worse than embarrass the government. I believe the government richly deserves to be embarrassed at times. 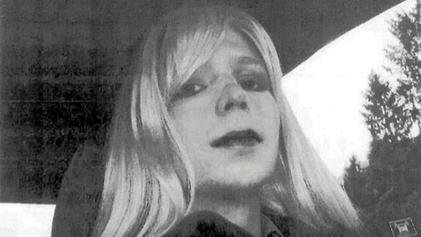 Chelsea Manning was then sentenced to 35 years in military prison. Seven of those years have now passed. As a young, small, dysfunctional, transgender person in that kind of brutal environment, no person with the least glimpse of reality would expect her to survive till the end of her sentence. Even the most just war is a grindstone. Every spark that flies off is a human life, with the same hopes, dreams, and needs that you or I have. I wish we could take that more into account when we feel tempted to inflict violence in other lands. And now President Obama has, in fact, commuted Chelsea Manning’s sentence. She is to walk free in May–and at that, has already served more time for her misdeed than any other “leaker” in history. Obama’s act was the right thing–the only right thing–to do in her case. In a warped, shadow infested world, one small thing has been made straight, with an opportunity, perhaps, to someday shine. And we are all better off for it. This is perfect. May I copy it on to my Facebook Page? I could watch Scinedlhr’s List and still be happy after reading this.